Here in the Lake District, we are lucky enough to have been home to a huge number of well-known names, including Beatrix Potter, John Ruskin, Arthur Ransome and Alfred Wainwright. This World Heritage Site has served as the inspiration for many creative minds, and this is particularly prominent in the works of one of the Lake District’s most famous former residents, William Wordsworth. Wordsworth is one of England’s most famous Romantic poets and is known for poems that took inspiration from the beautiful part of the Lake District in which he lived. On your next visit to the Lakes, why not find the key locations in the life of William Wordsworth? Dove Cottage was one of the homes of Wordsworth, where he lived with his sister, Dorothy and his wife, Mary, and where his first three children were born. Nestled in the village of Grasmere, the cottage now serves as a museum and time capsule of the life and works of Wordsworth. Entrance to Dove Cottage is £8.95 for adults and free for children. Between Ambleside and Grasmere is the village of Rydal where Wordsworth moved with his family in 1813, moving into Rydal Mount, a beautiful home in which he lived until his death in 1850. Like Dove Cottage, you can visit Rydal Mount and take a look around the 16th-century house and stunning garden. You can visit the house and garden for £7.50 for adults, £6.50 for seniors and students, and £4 for children between 5-15 years. There are also family tickets available. Perhaps one of the most famous works of William Wordsworth is the poem, I Wandered Lonely as a Cloud, also known as Daffodils. The poem was inspired by a walk Wordsworth took with his sister, Dorothy, at Ullswater. Dorothy wrote in her journal how they came across a long stretch of daffodils on the water’s edge just beyond Gowbarrow park, which inspired Wordsworth to pen his famous poem. You could visit the source of Wordsworth’s inspiration with a walk around Ullswater. The Ullswater Way is a 20-mile walking route detailed here. At the age of 80, Wordsworth died of pleurisy and was buried in St Oswald’s Church in Grasmere. His wife, Mary died nine years later and was buried alongside her husband. You can visit the final resting place of the great poet in the graveyard of St Oswald’s Church where you will find a simple headstone marking their burial site. 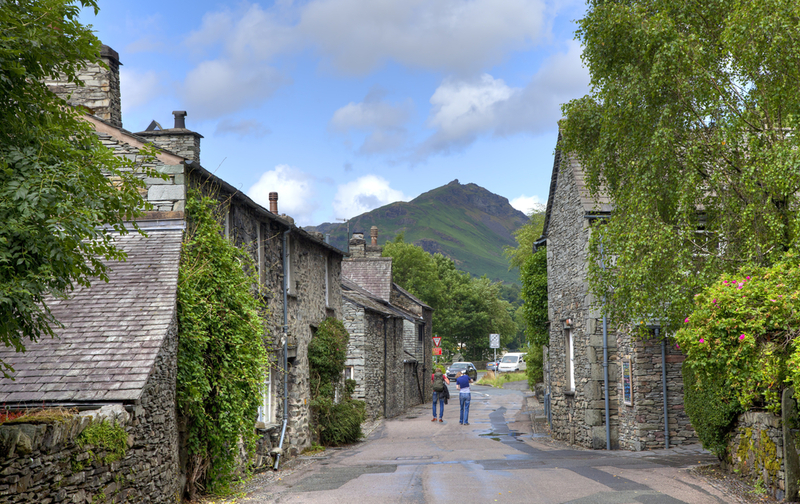 The Lake District was once a great inspiration for poets, authors and artists such as William Wordsworth, so perhaps it can become an inspiration for you on your next visit to this beautiful part of the world. We have several parks that make perfect bases for visiting the Lake District, so do be sure to check our availability when planning your next trip.